exercise – it works for depression is the title of a post i wrote for brainblogger the other day. it is about a large-scale study, the SMILE study (standard medical intervention and long-term exercise, conducted at duke university), which found that vigorous exercise three times a week for half an hour or forty-five minutes reduced symptoms of depression as effectively as antidepressants. there is the beginning of an interesting discussion in the comments about how to discuss findings like with people who are in the midst of depression. This entry was posted in depression and mental illness, psychological research and other things academic, therapy and tagged antidepressants, communication, depression, exercise, medication, psychopharmaca, research, therapy on June 6, 2010 by isabella mori. marshall rosenberg, the man known for his work in nonviolent communication, appears in the section off the cushion and into life in be the change: how meditation can transform you and the world). he works a lot in prisons. the people there have done some stuff that i really do not like, like sexually molesting children. so i usually ask each one of them what need of theirs was being met when they did that. and i usually get back, “huh?” because nobody has ever asked them that question before. so i will say, “i’d like to know what need you were trying to meet when you were doing that.” then they’ll usually answer something like, “i do it because i’m a pervert.” and i say, “now you are telling me what you think you are. i am asking what needs of yours are getting met?” and they say, “what the hell are you talking about?” and i say, “i believe you are doing this for the same reason that i do everything. i think you are doing it because it is the best way you know of meeting some need you have. that is what i do every moment – the best i know to meet my needs. and i am confident that if we can get clear about what needs of yours are being met by doing that, i bet we can find other ways of getting those needs met that don’t create so much pain for you and others. mindfulness is about attending to what’s right in front of us. right in front of marshall rosenberg is a person. it is a person with a past, who has done violence to a child, and a future, who may do it again, or become a priest, or die the next day. but right in front of marshall there is a person, and about persons marshall knows that they have needs. there is something starkly sober and yet infinitely loving about cutting to the chase like that. i can understand both reactions. which one is yours? This entry was posted in communication, interesting books, peace, environment, social justice et al, spirituality and tagged communication, crime, criminals, marshall rosenberg, meditation, mindfulness, nonviolent communication, peace on December 22, 2009 by isabella mori. a while ago we talked about the lack of scripts for talking about mental illness (at least in “polite society”), and before that we had a conversation about how uncomfortable it can be to engage in peaceful communication. and now evan took up the topic the other day and asked how can we talk about our spiritual experience? we don’t share a widely understood language, notwithstanding the fact that many different religions are represented, from christian to buddhist to new age. in the media, these languages appear side by side, almost as flavours to go shopping for. this is very different from the experience of spirituality, which, to name but a few, can go to the depths of who we are, can mean “waking up” or “dying and being re-born”, or can have a feeling of inevitability – very different from shopping. the wide variety of languages that can be found can also be beneficial; we now have the opportunity to talk to people from many spiritual traditions, even those who have none. we need to represent our spiritual experiences, with poetic and academic words, with images, with sound – and we will probably be telling our spiritual stories for a long while before we will start understanding the language. we will need to become sympathetic and respectful listeners and viewers and doers. our language will need to stay close to our experience. this post i hope is just a preliminary. i would like to hear about your spiritual experiences and whether these experiences have led you to any particular tradition; have you drawn on various different traditions, or even formulated your own? what aspects of your life do you regard as spiritual? are there some parts of your life that you don’t see as spiritual? i am curious about that, too. before we go on to exploring this, i thought it would also be interesting to go back to the two posts i mentioned at the beginning and see whether some of the commenters have ideas that may apply to spirituality. do we really need to talk? how about listening? listening is something that ian from quantum learning said is important: “listen for what sits under the words of others”. talking is about communication. communication is as much, or more, about listening as it is about speaking. listening closely to what the other has to say, or wants to say, may give us clues about how to engage with them regarding spirituality. or it may just end up being that listening to them will be our spiritual experience. sandy said that in connection with talking about mental illness it “takes quite a bit of getting to know someone before they’ll own that their life has a problem.” in my experience, they same holds true regarding spirituality. maybe that takes us back to listening again. through listening we form relationships, relationships that may then be ripe for a discussion of spiritual experiences. yet another commenter wrote that it feels good to share such experiences with others who have been there themselves. marie said “having a blog that brazenly describes what is going on with me ‘in secret’ is helpful. i write under a pen name; but when i want to share that side of me with someone in my 3D world, i can simply point them to my blog.” this reminds me of a minister i was once friends with. we could talk about a gazillion things but not about spiritual matters – for that we needed the framework of the pulpit, from which he spoke most movingly. another commenter recounted that the only way he achieved a well enough state to have nice conversation as well s complete wellness was by continuously talking. so here the advice would be to just keep on talking, no matter what. this goes with what another commenter mentioned, namely that it’s important to remember that when we are afraid of judgment by others for talking about “strange” subjects, it often comes from being afraid to be judged my ourselves. not everyone will understand, and that’s ok.
what do you think? how can we talk about spirituality? This entry was posted in blogs of note, communication, spirituality and tagged communication, language, mental illness, religion, spirituality on October 30, 2009 by isabella mori. okay, guys ‘n’ gals, i gotta get this off my chest. 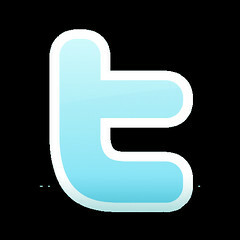 as you know, i’m an avid twitter (over) user. i love it. and there are two things that have made me roll my eyes quite a bit lately. it’s easier to pontificate on this on a blog, so i’m using this platform. (as you can see, i already have way over 140 characters). when you reply to someone, be specific. how am i supposed to know what you’re talking about when i get a @reply that says, “that was great!” WHAT was great? if you’re afraid of the 140-character limit, one or two words will usually be enough. for example, i could reply to robert hruzek from middle zone musings fame by saying, “right on re transparency!” and he’ll know what i’m talking about. or you could do what i just did – you could include the link to the actual individual tweet. you do this by clicking on the timestamp right underneath the tweet. then you get something like vancouver’s famous miss 604’s tweet asking for links to events in vancouver. and the other thing? impersonal, spammy direct messages or DMs. direct messages show up in my email inbox, so it better be something that’s directly related to me as a person. not as a consumer. please DO NOT auto DM me, or send me a DM if i don’t know you to give me a “gift” of a video that plugs your ideas/services/product. margaret mason has a good article on how to use twitter politely, including the use of DMs. pete quily is a great example of someone using DMs intelligently. that’s pete from ADD strengths (the world’s best blog about ADD/ADHD – attention deficit disorder, or as i like to call it “the gift of chaotic attention”). oh, and why do i give you all the links to these people? is it just link bait? i don’t think so. it’s all about making connections. that’s what social media is about. making meaningful connections. please help your fellow tweeple understand the connections. tell them what you’re replying to. and when you want to make a new connection, it really isn’t that difficult. impersonal, meaningless DMs irritate me; retweeting and replying will get my positive attention. This entry was posted in communication, the net and tagged communication, direct messages, DMs, politeness, replies, retweets, twitter on May 21, 2009 by isabella mori.